While we will generally endeavour to give free advice and evaluations in many cases, this is at our absolute discretion; this service may be withdrawn at any time and for any reason. Where we do give free advice, we will normally respond quickly to your queries. However, this may not always be possible. By taking advantage of any of our free advice services you are accepting that this is the case. These are the standard terms and conditions between UK VISAS Limited and you, the client. Together with any schedules these represent the entire agreement between the parties. UK VISAS shall mean Bobago Limited t/a UK Visas, a trading company, whose principal place of business and address for service is Old School House, Lynwick Street, Rudgwick, West Sussex RH12 3DG, United Kingdom. “Application” shall mean the preparation and submission of any documents, material or verbal statements howsoever transmitted to the intended recipient and made in respect of any immigration benefit or employment authorisation, including but not being limited to work permits and visas applications, which benefit or authorisation may be conferred by the British government. 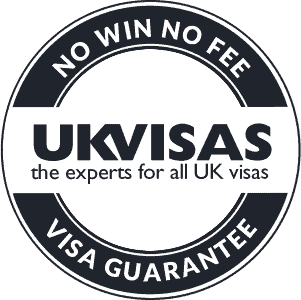 “UK Visa” shall mean any permit, permission, recommendation or authorisation issued by the UK Home Office, Work Permits (UK), including but not limited to HSMP, Business & Commercial, Sportspeople & Entertainers & Training and Work Experience permits BUT NOT (in the absence of any express agreement to the contrary) including any entry clearance, visa, security clearance or extension of leave to remain that may be required from the Immigration & Nationality Directorate or the Foreign Office in order for the work permit holder to enter, undertake employment or remain in the UK. “Fees” shall mean any sums due to UK VISAS for services rendered plus any taxation or other governmental fee, levy or penalty applicable thereto, including but not being limited to value added tax. – We don’t charge by the hour unless requested. – We don’t charge for initial advice unless agreed in advance. * No Win No Fee No Risk – If after evaluating your case we are confident we can help you then we will normally offer a ‘No Win No Fee’ policy and guarantee a successful work permit application. If we fail under these conditions we will give you your money back. ** Flat Fees – Under normal conditions we offer clients a flat fee arrangement. This arrangement will be honoured even should the application take longer to deal with than normal. *** Free Preliminary Assessment – For Non-EU professionals, employers, recruitment agencies, businessmen and investors we will normally give a free assessment. By instructing UK VISAS to make an application you accept and agree to abide by these terms. Immediately upon instructing UK VISAS to make an application you undertake to forward to UK VISAS a sum equal to the full fees as notified to you in respect of that application, and further you agree and accept that WPC are under no obligation to commence or undertake any work in respect of that application until such sum has been received by UK VISAS. You undertake to forward to UK VISAS any sum required by UK VISAS in respect of disbursements incurred or likely to be incurred in respect of your application immediately upon UK VISAS requesting such payment. You undertake to pay the balance of UK VISAS fees due for any successful application within 7 days of receipt of invoice in respect thereof, breach of this term entitling UK VISAS to charge you interest on such overdue sums at a rate of 4% above LIBOR per annum, calculated monthly on a compound basis. You accept that if you withdraw or instruct UK VISAS to withdraw, or withdraw its instructions in respect of, any application after it has submitted it to the relevant governmental authorities but before a final determination (which term shall mean and include a determination of any and all appeals that may arise from a refusal of an initial application) is made by such authority UK VISAS fees will be payable as if that application had been successfully completed and approved by the relevant authority or authorities. You accept that if you withdraw UK VISAS instructions in respect of any application after UK VISAS have begun work, but before the application has been submitted to the relevant governmental authorities, fees will be payable to UK VISAS for work carried out prior to the withdrawal of instructions. The exact quantum of these fees shall be determined solely by UK VISAS, save that they shall not be more than 85% (eighty five per cent) of the fees for a successful application. You accept that in relation to UK VISAS performance of its contract with you, UK VISAS may charge additional fees for services, which may be rendered, which may not have been anticipated by UK VISAS and may be necessary to better perform UK VISAS contractual obligations to you. Such services including but not being limited to the obtaining of entry clearance, visas, extended or amended leave to remain, further advice for or relating to the principal beneficiary of any application hereunder or any relatives thereof, such additional fees to be agreed in advance wherever possible but in the absence of such agreement to be determined by UK VISAS in its sole discretion. UK VISAS warrant that, save where UK VISAS expressly state to the contrary prior to or at the time of accepting your instruction, UK VISAS will successfully process your application, or reimburse to the client any fees paid to UK VISAS in respect of a specific instruction accepted by UK VISAS. You fail to provide any information, documentation or other material to UK VISAS that UK VISAS in its sole discretion may deem necessary or desirable in order to process your application promptly upon UK VISAS request for such information, documentation or other material. Any information, documentation or material provided to UK VISAS from any source in respect of your application should transpire to be false, misleading, insufficient or in any other way unacceptable to the governmental authorities responsible for approving your application. An application is refused following a personal interview of the intended beneficiary of the subject matter of that application by any governmental or consular authority. You act contrary to UK VISAS advice, fail to follow UK VISAS recommendations and/or make direct contact with a governmental authority or other relevant third party without UK VISAS express consent, such consent not to be unreasonably withheld. In every case UK VISAS undertake to refund any fees paid to it pursuant to the warranty above only, and no further sums will be due from UK VISAS in respect of that application. UK VISAS reserve the right to deduct from any sums due to you pursuant to the warranty above the costs of any disbursements incurred by UK VISAS in respect of your application for which UK VISAS have not been reimbursed by you pursuant to the warranty above. You undertake to promptly provide UK VISAS with any information, documentation or other material that UK VISAS may reasonably require in respect of your application. You warrant that any information or documentation provided shall be true and accurate, and hereby indemnify UK VISAS for any and all costs (including incidental and consequential costs) incurred by UK VISAS by reason of your breach hereof, such costs including but not being limited to fines, penalties, additional government fees, legal costs, costs of wasted work and transport costs. You undertake to comply with and obey any and all immigration, employment or other regulations, restrictions or codes of conduct pertaining to your application. You undertake not to withhold any payment due to UK VISAS arising out of any application hereunder on any grounds, including the existence of any dispute between UK VISAS and you regarding an application or any other matter. Other than as is expressly stated herein or implied by statute, UK VISAS shall not be liable for any loss or damage of any description whatsoever arising from the failure or delay in approval of any application made hereunder or arising from UK VISAS breach of any express or implied term hereof. In any event UK VISAS liability shall be limited, subject to the clause above, to the amount of UK VISAS fees chargeable in respect of any application from which such liability may arise. Unless expressly agreed in writing to the contrary, time shall not be of the essence in the performance of UK VISAS obligations hereunder, and you understand and accept that any time estimates for the processing of any application that UK VISAS may give you is not in any respect binding or definite. UK VISAS shall not be liable for any loss or damage whatsoever that you may suffer as a result of UK VISAS being unable to fulfil any of its obligations herein due to the occurrence of an event of force majeure, which term shall include but is not limited to legislative and regulatory acts of government, armed conflict, civil insurrection, strike, lockout, computer failure, failure of power supplies, earthquake, typhoon, tidal wave, and acts of God. Any variation of these terms shall have no effect unless expressed in writing and agreed by both parties. The unenforceability of any part hereof shall not affect the enforceability of the balance hereof. If you have a complaint or grievance regarding the services of UK VISAS, please be aware of our procedure for handling complaints. i) We assure you that your complaint will be properly addressed. ii) You may in the first instance complain directly to the person providing the advice or services. This person will endeavour to resolve the issue with you as soon as possible. iii) If the above does not satisfy you then you may prefer to complain directly to the Client Relations Department at UK Visas Limited, Old School House, Lynwick Street, Rudgwick, West Sussex RH12 3DG. Your complaint will be given serious consideration and the Client Relations Officer will take steps to resolve the matter to your satisfaction as quickly as possible. iv) If you are not satisfied with the outcome of your complaint using the above means, or you do not wish to address your complaint to WPC, you may complain direct to the Office of the Immigration Services Commissioner, 5th Floor, 21 Bloomsbury Street, London WC1B 3HF. These terms and conditions are governed by the laws of England & Wales.